As the Canon G7X exploded in popularity a few years back as the go-to budget friendly, point and shoot vlogging camera we always see large numbers of people reaching out for advice on various accessories for the camera system. For today’s article, we will be going over what we consider to be the best gimbal for the Canon G7X as more and more people are wanting a reliable source of image stabilization for their video footage. Rather than just focus on just one single gimbal stabilizer like many other people, we have decided to cover three different products to try and ensure that we are providing the best information possible for our readers. Each of these gimbals has their own individual strengths and weaknesses that you can use to your advantage to get the best video footage possible. As we know that many of our readers are busy and probably won’t have the free time available to read the full article, we have made a quick and easy to read comparison table below. This is essentially a short hand guide to what we feel is the best gimbal for your G7X that you can go over within a few seconds. Below that, we will be covering each of our featured gimbals in much more detail for those of you who have the time available to read the full article. Click Here To Check For Prices On High-Quality, Budget Friendly Gimbals For Your Canon G7X! Suitable For A Canon G7X? Perfect For a G7X Even With A Number Of Accessories Mounted On It. Limits The Weight Of Accessories You Can Mount On Your Camera Rig. Overpriced For Use With A lightweight Camera Like The G7X. 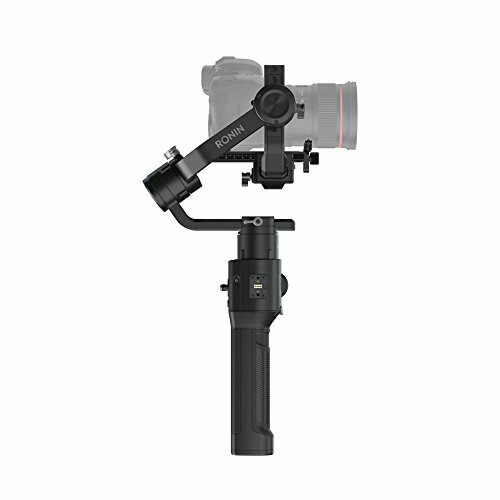 Although it is a slightly older gimbal stabilizer when compared to the other two featured gimbals in our article, we definatley feel that the Zhiyun Crane v2 (Click here to check for product prices and availability) shown in the image above is the best gimbal on the market right now for your Canon G7X. In our opinion, it has the perfect mix of performance, image stabilization, functionality, and price pushing it to the front of all competing products on the market right now. This has made the Zhiyun Crane v2 a big hit within the videography and vlogging communities with many people choosing to use it as their go-to gimbal stabilizer of choice. This has led to a number of people who use the Crane v2 as their go-to gimbal system of choice to post their own third-party, independent reviews online (click here to read some of them) sharing their experiences with the system. If you have the time available then we would highly recommend that you read a few of them as they offer an excellent external insight. As we mentioned earlier in the article, the Zhiyun Crane V2 is a little dated when compared to some of the other gimbals on the market right now but Zhiyun managed to do an excellent job of designing their interface system for their gimbals and it has not changed much at all even to this day. As you can see from the photograph to the left, the gimbal is controlled by a touch-based directional pad, two buttons, and a switch. This allows you to control the majority of the gimbals functions while holding it with nothing more than just your thumb. This includes all of the 3-axis gimbal functionality allowing you to tell the gimbal system where to face your Canon G7X during use. The control system on the gimbals handle also allows you to quickly switch between gimbal modes without having to waste any of your time while out and about on your adventures wanting to record your footage. This allows you to easily get the most of out your gimbal with minimal effort while leaving you free to vlog or focus on other things. As shown in the image above, the Zhiyun Crane V2 is fully Bluetooth compatible allowing you to remotely control it via the Zhiyun remote control or the iOS or Android smartphone app. This allows you to place your handheld gimbal down in one location and then back away and control its panning remotely without being in the footage while still getting the image stabilization it provides. As the Canon G7X is a popular choice for travel vloggers, you may want to utilize this functionality to allow you to capture some slow panning video footage of an epic landscape you come across on your adventures. Say you are out hiking and you want your gimbal to pan your camera from one side of the view to the other while capturing you in the footage after panning. If you are out along you would not be able to do this alone without the wireless functionality that makes it a breeze. As many people are new to gimbal systems we just want to point out that Zhiyun really has done an excellent job of making an effective yet very easy control system for their gimbal range. We really do feel that anyone will be able to easily pick the Zhiyun Crane V2 up and get to grips with it in a very short period of time. Although Zhiyun definatley had a first mover advantage when handheld gimbals were starting to take off a few years back, the main reason that they became so popular was their low price tag, their excellent performance, and their solid functionality. Your Canon G7X camera body comes in at around 0.67 pounds and as the Zhiyun Crane V2 has a maximum load capacity of just under four pounds it can easily support your camera without issue. If you are using your G7X for vlogging then the Zhiyun Crane V2 has plenty of load capacity left for any other accessories that you may want to use with your camera. In addition to this, if you end up upgrading in the future to a more modern vlogging camera like the Canon m50 (Click here to check for product prices and availability) then the Crane V2 will easily be able to support its weight too as well as a number of accessories at the same time. The video footage below was recorded using the Zhiyun Crane V2 and does an excellent job of showing the kind of image stabilization that the gimbal can provide for you. The video quality is nice and smooth and offers a superior image quality to what you would be able to get if you simply held your camera in your hands. Click Here To Check For Prices On The Zhiyun Crane V2! One of the main problems with the original 3-axis gimbals was that their battery was a total nightmare making them borderline useless. Zhiyun were one of the first brands to be able to overcome this and get their Zhiyun Crane V2 to market offering a maximum of twelve hours of battery life. Even the more modern gimbal systems are still to beat this while often retailing with a much higher price point. The Zhiyun gimbal range also uses the Manfrotto quick release plate so you can quickly and easily switch from your gimbal to your Manfrotto compatible tripod when required to switch up the type of image stabilization that you can get. This can allow you to quickly adapt to your situation and ensure that you get the best video footage or photographs possible. Another thing that Zhiyun have managed to knock out of the park is the build quality of their Zhiyun Crane V2 3-axis gimbal. It does not feel weak or flimsy in anyway while also being made from materials that are lightweight while also very robust. This ensures that you are able to easily support the weight of the gimbal and your G7X during use without experiencing any discomfort while also making sure that the gimbal is able to easily take any publishment coming it’s way. The actual hand grip on the handheld gimbal is made from plastic without any padding but in all fairness, it is relatively comfortable anyway and offers plenty of grip. This allows you to safely grip the gimbal even while in wet or cold conditions while still getting all the possible image stabilization that you could need. As you have probably guessed, we are massive fans of the Zhiyun Crane V2 gimbal stabilizer and it is almost always out go-to recommendation for any camera on the market right now. As far as decent gimbals go, the price tag is low and the supported payload of the gimbal is more than enough for a camera like a Canon G7X. Its image stabilization ensures that you get optimal image quality no matter the condition while also ensuring that you have all the battery life you could need. Adding the Zhiyun Crane V2 to your collection of camera accessories will definatley help improve your video quality with minimal effort required on your part. Click Here To Check For Prices On The Zhiyun Crane V2!The video below offers an additional third-party, independent review for the Zhiyun Crane v2 to offer our readers an independent opinion of the product. 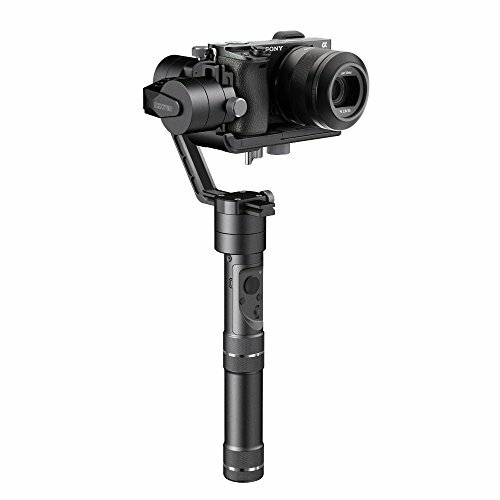 Next up on our list of gimbals that you can use with your Canon G7X is the Zhiyun Crane M (Click here to check for product prices and availability). From what we can see, this is without a doubt the most commonly recommended gimbal when people reach out for advice on what they should be using as their source of image stabilization for their G7X. Although the Zhiyun Crane M is a solid gimbal that does an excellent job and can easily support the weight of your camera, it is not very future proof in the sense that its load capacity will not support many, if any of the popular vlogging cameras that you may upgrade to in the future. As the Zhiyun Crane M has the same price tag and same amount of battery life as the Zhiyun Crane V2 that we covered above, we felt that we had to recommend the Crane V2 over the Crane M. That said, the Crane M is still a popular gimbal that holds a great reputation amongst the community with many reviews online (click here to read some of them) that you can read to get a third-party independent insight into its performance. Although the Crane M is a more modern handheld gimbal than the Zhiyun Crane V2 covered above, the Crane M still uses the same user control system as shown in the photograph above. As we mentioned earlier in the article, Zhiyun really has managed to do an excellent job on their control systems that offer excellent control over your 3-axis gimbal requiring nothing but your thumb. This allows you to support your gimbal and camera rig with your hand and then quickly tweak your image stabilization levels with your thumb when required. The Crane M also supports Bluetooth meaning that you are able to use the Zhiyun remote control or the smartphone app to remotely control the panning and tilt of the gimbal. There really isn’t much else to say regarding the control system on the Crane M as it is essentially the same as the Crane v2. We would just like to reiterate that we feel there is little that the Zhiyun could have done better on their gimbals to improve the control system and how the user interacts with the product. As we mentioned above, the main weakness of the Zhiyun Crane M is that it can only support a payload of up to 1.43 pounds. Although this is plenty for a Canon G7X that comes in at only 0.67 pounds, it does limit the use of any accessories that you may wish to use with your G7X while recording or the type of camera that you can upgrade to when the time comes while keeping the same gimbal. As the Zhiyun Crane v2 (Click here to check for product prices and availability) covered first in the article supports almost three times the payload of the Crane M, while coming in at the same price point and both products providing around twelve hours of battery life we would always recommend the Crane V2 over the M.
That said, if for whatever reason you know that you will not be upgrading to a heaver mirrorless or DSLR camera and you will always be using the lightweight and smaller point and shoots then the Zhiyun Crane M can be a decent choice. For example, many travel vloggers choose the smaller and lighter cameras like the G7X to keep the size and weight of their equipment as low as possible. The video below shows some excellent test footage recorded using the Zhiyun Crane M showing just how smooth your video can be as well as the levels of image stabilization the gimbal can provide. As the Zhiyun Crane M is based around the tried and tested 3-axis handheld gimbal design that has proven to be very popular within the community, you can rest assured that you can easily get maximum performance with minimum effort required on you part. If you have never used a gimbal system before we feel that you will be able to pick the Crane M up and play with it for an hour or so and be using it as if you have had it for years. Again, the Crane M also uses the Manfrotto quick release plate design so you can quickly and easily hot swap between your gimbal of choice and any compatible tripod that you may also have with you. Depending on the type of video footage that you are trying to record, this really can end up saving you a bunch of time over the coming years. Again, being another handheld gimbal stabilizer from Zhiyun it should be no suprise that the build quality really is excellent. The gimbal is very lightweight allowing you to use it for extended periods of time without taking any breaks while not feeling any discomfort in your arm or hand either. As many people tend to use the Crane M as a travel gimbal, we would also like to point out that it is definatley robust enough to take any punishment it may take during transit or during use without suffering any loss of performance. This essentially guarantees that you are always going to have access to a reliable source of image stabilization for your Canon G7X no matter where you are or what the situation is. As we have already covered, the only real downside for this gimbal stabilizer is its limited payload capacity. If you know you will never be using any of the heavier mirrorless or DSLR cameras then this can definatley be an excellent choice of gimbal making a great addition to your camera accessories while providing some great image quality for your G7X. The final 3-axis gimbal that we will be covering in our article is the DJI Ronin-S (Click here to check for product prices and availability) and in all honesty, we really would not recommend it for use with a camera like the Canon G7X. Although the DJI Ronin S is without a shadow of a doubt one of the best premium handheld gimbals on the market right now, it is desigined for heavy mirrorless or DSLR camera rigs and is wasted on a lightweight camera like the G7X. That said, time and time again we keep seeing people recommend the DJI Ronin S for use with the G7X on various forums and social media but you are essentially throwing your money away in our opinion. It is almost double the price of the two Zhiyun gimbals above as the Ronin S has one of the highest load capacities on the market right now and as thus, has the price tag to match it. If you are only going to mount a Canon G7X on it then you are paying for 8 pounds of payload but leaving almost 7.5 pounds unused. In our opinion, going with the Zhiyun Crane v2 (Click here to check for product prices and availability) is a much better option for your camera. That said, if you know you are definatley upgrading to a heavier camera rig soon and need the additional payload of the DJI Ronin S while also having the budget available then it is definatley worth picking up. As you would expect for paying such a high price for your gimbal, the control system on the DJI Ronin S is flawless. You can control everything via your thumb like the two Zhiyun products above but everything is smoother and easier on the Ronin S. This allows you to save time and effort during your recording session while allowing you to focus on other things to get the best possible footage available. DJI have their own smartphone app too and although earlier versions of it were a total nightmare to use, they have since upgraded the app and it is now very easy to use. This allows you to control various settings on the gimbal at the press of a button while also managing how your image stabilization is delivered to your camera rig of choice. As we touched on earlier, the DJI Ronin S comes with a massive 8-pound payload as standard that is pretty much the absolute top end of any handheld gimbal at the time of writing with the vast majority of the competing gimbals only being able to get up to a 7-pound payload at best. That said though, your Canon G7X comes in at only 0.67 pounds meaning you are paying so much money for a payload capacity your camera will simply not use. As we mentioned earlier, if you know for a fact that you will definatley be upgrading your camera rig in the future and that you are going to need this additional payload then the DJI Ronin S is the obvious choice. 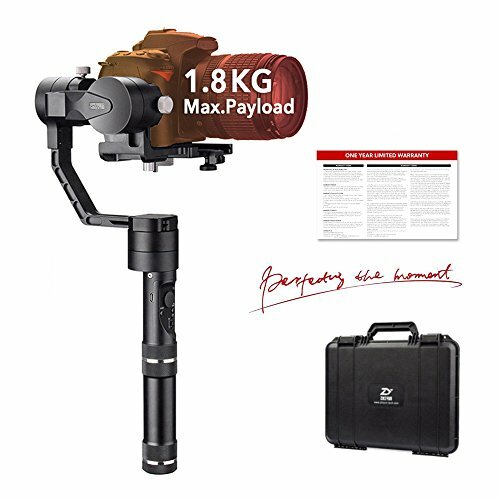 If you are planning on sticking with your G7X or even if you are planning on upgrading to something like the Canon m50 (Click here to check for product prices and availability) then there really is no need as the Zhiyun Crane v2 (Click here to check for product prices and availability) will provide everything you need while being almost half the price of the DJI Ronin S.
The video test footage below was recorded using the DJI Ronin S and does an excellent job of showcasing the level of image stabilization that it is able to provide for you. The build quality of the DJI Ronin S 3-axis gimbal is probably the best we have ever seen in all fairness to DJI and there is literally nothing we can find fault with. It blows all competing products currently available out the water and its design help compliment the build quality even further. We are really looking forward to seeing what Zhiyun respond within their next generation of gimbals to help them stay competitive. We feel that we have made our opinion clear for the DJI Ronin S gimbal stabilizer. There is absolutely no denying that it is one of the best systems on the market right now but it is massive overkill for such a small camera like the Canon G7X and will ultimately result in a waste of money for you. Take the Zhiyun Crane v2 (Click here to check for product prices and availability) instead and you will be better off in our opinion. Click Here To Check For Prices On This Product!The video below offers an additional third-party, independent review for the DJI Ronin-S to offer our readers an independent opinion of the product. 3 Of The Best Gimbals For Canon G7X Cameras! 3 Of The Best Gimbals For Canon 80D Cameras! 2 Of The Best Gimbals For Panasonic G7 Cameras! 2 Of The Best Gimbals For Mountain Biking On The Market! The Best Gimbal For Nikon D3400 Cameras On The Market! The Best Gimbal For Nikon D7000 Cameras! 5 Of The Best Gimbals For Sony FS5 Cameras On The Market! Click Here To Read More Articles About Gimbals!